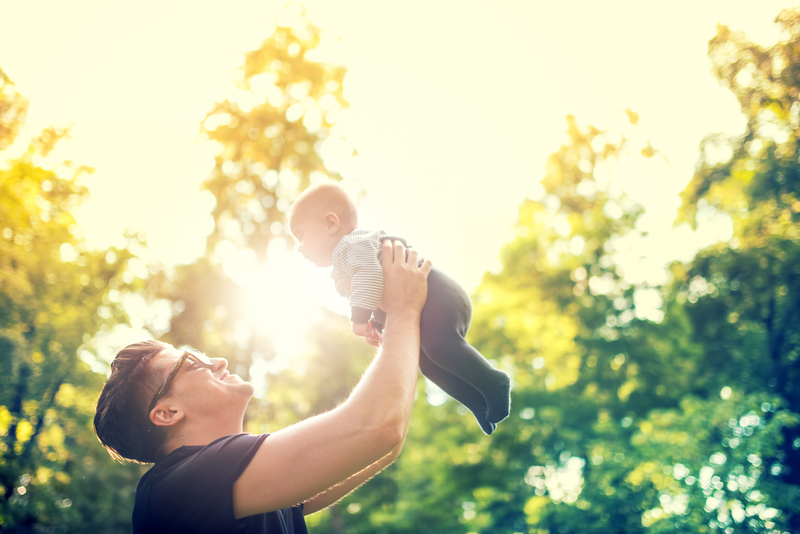 It is officially spring, and the beautiful sunny days with the right temperatures make it tempting to bring our babies to the sunny outdoors. Dr. Amy and the Baby Pibu team want you to enjoy the outdoors with your baby, but we want to help you and your family prevent sunburns. Let’s learn more about sunburns and learn a few tips on how to prevent your baby from getting a sunburn. The sun’s rays are composed of ultraviolet rays. UVA and UVB are both the primary UV irradiation that lead to skin cancer development. UVA has a longer wavelength of light and penetrates deeper to also promote skin aging. UVB has a shorter wavelength of light and is the UV that causes actual sunburn and further skin damage. Unfortunately, these ultraviolet rays are carcinogenic, and ultraviolet radiation is found to cause specific DNA damage that can lead to the risk of skin cancer development. Skin cancer is the most common cancer in the United States. Melanoma is the most concerning skin cancer, and it ranks as the 7th most common cancer. About 90% of non-melanoma skin cancers and about 65% of melanoma skin cancers are associated with ultraviolet radiation. Avoiding and preventing your baby from getting a sunburn is important. One or more blistering sunburns during childhood or adolescence more than doubles an individual’s risk of developing melanoma later in life. Your baby’s skin is more delicate and thinner than adult skin. One of the easiest ways to prevent a sunburn on your baby is to avoid the intense sunrays between the hours of 10 a.m. to 4 p.m. Consider slipping on UPF clothing and slapping on a hat. If you have to be outside, covering up your baby’s skin is one way to keep it protected from the intense sunrays. Baby Pibu’s Baby Sunscreen SPF 30+ has the Skin Cancer Foundation’s Daily Care Seal of Approval. Slathering on sunscreen is recommended for babies 6 months and older. Sunscreens are products that have a combination of active ingredients which offer UVA and/or UVB protection. You may notice sunscreens listing multiple active ingredients. Different chemicals allow for UVA coverage while other chemicals allow for UVB coverage. Having a combination of these ingredients usually allows for the sunscreen to provide broader UV coverage and the ingredients also balance one another to make each other more stable and thus more effective. Zinc oxide and titanium dioxide are physical blockers and provide for both broad UVA and UVB protection. 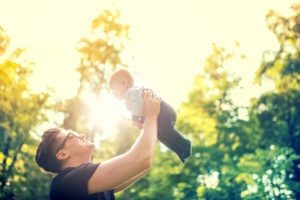 Zinc oxide and titanium dioxide are also the best sunscreen ingredients for babies as they are non-chemical ingredients and are the least irritating for baby’s delicate skin. Apply OTC hydrocortisone 1% cream. A sunburn causes DNA damage that also results in inflammation. The erythema from this inflammation may not be seen until six to eight hours after the sunburn. If sunburn erythema is seen, apply OTC hydrocortisone 1% cream to try and shorten the course of the sunburn cycle. If your baby is 6 months or older, consider oral ibuprofen as an additional anti-inflammatory to help shut down the sunburn inflammatory process. 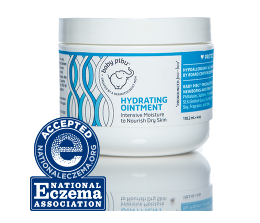 Baby Pibu’s Hydrating Ointment’s hypoallergenic, irritant-free formula will soothe sensitive, sunburned skin. Give your baby’s sunburn skin extra TLC by slathering on ointments like Hydrating Ointment, that can soothe the sensitive, sunburned skin. Enjoy the sunny outdoors, but be careful to avoid a sunburn for you and your baby!